Drain Line Repair in Hamilton Has Never Been Easier! CPVC is used for industrial plumbing systems, such as laboratories. It can stand a wide range of temperatures making it a perfect candidate to carry chemicals and other dangerous materials, safely into their designated wastage spot. But what happens when pipes carrying such liquids crack or begin to leak? This requires replacing the pipe, but time is of the essence. Laboratory drain line repair needs to be immediate so that the chemical spill does not destroy the surrounding environment. 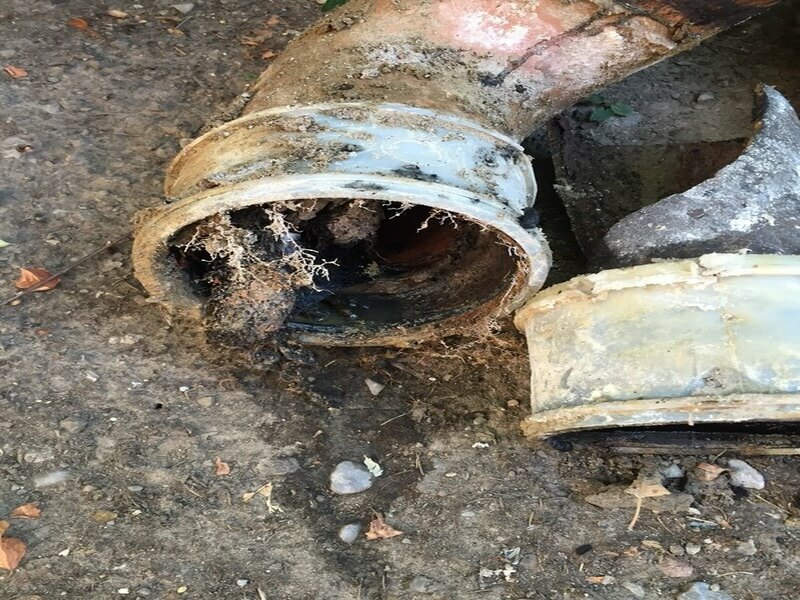 Additionally, if this drain line runs under the laboratory, digging and excavating are not viable options as they take time and could end up damaging other pipes! This is where we come in with our ‘no-dig’ trenchless technology; the best in Hamilton. It allows us to undertake repair without excavating, but how? Trenchless technology has given difficult plumbing jobs a cost-effective and long-lasting solution. In this method, a specially engineered patch is filled with an epoxy resin, which is a hardening agent and acts like glue. This is positioned in place with the help of a DrainPacker and inflated. The epoxy resin reacts and hardens, creating a robust and lasting fix. We use this method usually for small drain line repairs, usually those in one particular area. The inversion process is a little more complicated method for the drain line repair epoch. This method is best for pipes that have cracked, within a length of 40mm to 225mm. In this technique, the epoxy fills into the pipe-liner. The epoxy-filled-pipe is then shot into the broken pipe with a particular machine that inverts it as it takes place. Once the liner is cured, your pipe is good as new. For pipe patching, we need tubes and a curing agent such as epoxy resin. Additionally, we use wire or rope to create upstream and downstream access points. Once the tube is in place, we use static pressure to inflate and hold the resin in place. The process of curing goes through a forceful blast of water known as a water cure or ambient temperatures. For the inversion process, we will need a pipe-liner and a two-part mix of resin. Once the pipe-liner is filled with the resin, it is rolled up inward and inserted into an inversion drum. Compressed air is used to launch the pipe-liner into the pipe. We also use cameras with pan, tilt, and sonde tracing to identify the location of the drain line repair. How long does drain line repair take? Installing a pipe liner can take up to 3 days with a crew of three or four plumbers. However, better planning can reduce this to two. For a full working day, you can achieve the whole installation. Processes like trenchless technology are highly efficient drain line repair systems and are especially useful for blocked pipes. The technology provides long lasting and withstanding drain line repairs which can last up to 50 years, so you are good to go! To be extra careful you can make sure only to throw dissolvable material in the drainage and keep a lookout for any blockages. Call Dr. Pipe Drain and Plumbing Services in Hamilton for all of your plumbing needs and consultations! Call 416-663-4777, or learn more about what we have to offer at https://hamiltonplumbernow.com.